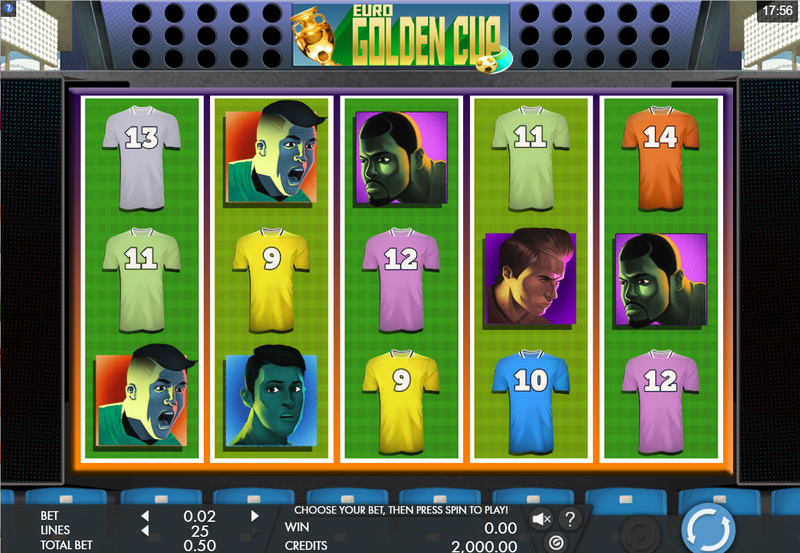 Euro Golden Cup slot is a Genesis Gaming title consisting of 5 reels, 3 rows and 25 paylines. 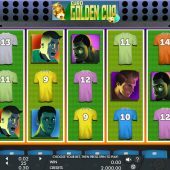 The release of the game was done to coincide with the start of the Euro 2016 football finals, as the whole premise of this slot is based on the beautiful game. There is a Play Maker Free Spin feature offering up to 20 free spins and includes stacked sliding Wilds. There are two winning trophies to collect which unlock 2 more levels and ultimately 2 extra bonus features. The Striker feature presents a number of targets which can be turned into Wilds or other winning symbols. The Penalty Shootout feature can reward you up to 5x multiplier on your winning lines. Other football-themed slots include Sensible Soccer Euro Finals, Top Trumps Football Stars 2018 and Football Carnival, with many more from other developers.